This blog was written by four of our Grade 6s: Rachael, Bharat, Abigail and Anand. They were extremely excited when they learned that they would be writing a blog on our Billy Carts incursion and program. We are lucky enough to have an amazing billy cart program that has reached cult status at our school and is something that students look forward to from their early years at KPS. 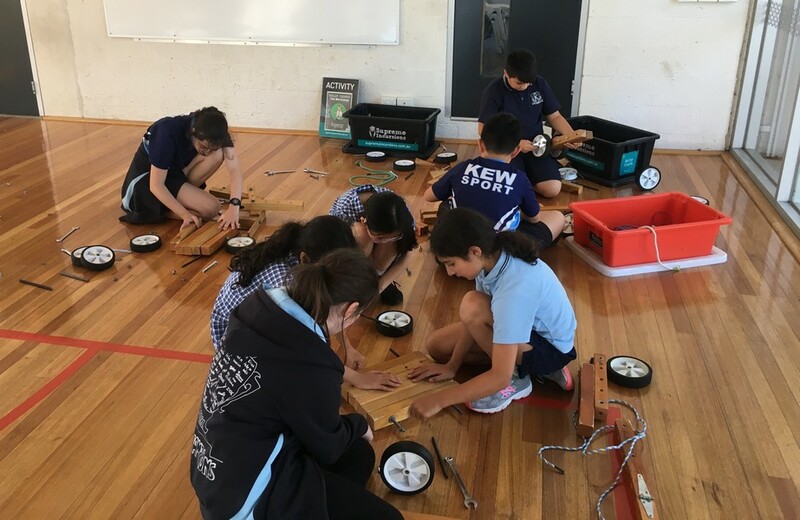 We are all very excited to see what amazing designs our Grade 6s will come up with this year and how the hard work and process of building, collaborating, leading and designing our billy carts will create an electrifying race that stops our Kewmunity! 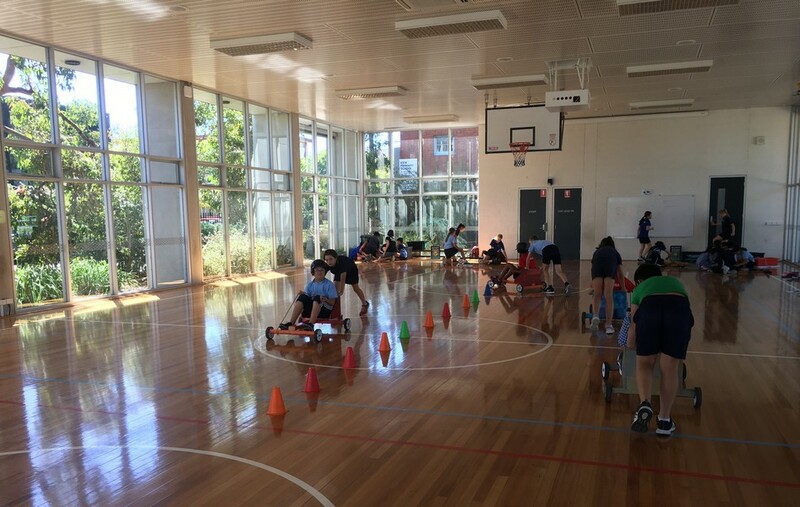 On the 27th of February the Year 6s had a billy carts incursion. It was held down in the gym where everybody participated in four different stations. The first was a design station where students explored their creativity with their billy carts to be. The second station was a building workshop where the process of being a mechanic became more familiar. The third was a billy cart construction race between two teams which really helped the notion of time management and fine motor skills, and the fourth was what we are all waiting for, riding the billy carts themselves! One of the highlights of the incursion was definitely riding the billy carts, whilst our classmates took turns in pushing us. Another major highlight of the incursion was having a race against time and other teams to build the billy carts in their entirety! It was as simple as whichever group built the billy cart first, won. This was a workshop to help us to work in groups and be able to confidently build our billy carts. In the billy cart incursion there were four group leaders. The group leaders had to lead their group members to the activities that were at each station. The group leaders were chosen at random by Lauryn, our billy cart incursion leader. This was fantastic as it allowed students to adopt roles they might not have been used to and work collaboratively to complete the task at hand. All the students that were chosen were amazing group leaders and lived up to the role and fulfilled what it was to be a team leader. It was an exhilarating start to one of our prestigious school’s most famed event! What other adventures will we undertake in our race to the finish? This entry was posted in Learning, Students and tagged extra-curricular, Grade 6, Leadership by Kate W. Bookmark the permalink.